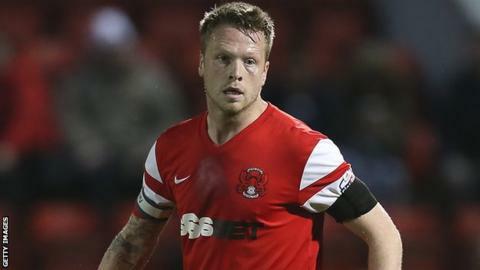 Leyton Orient captain Nathan Clarke has left the League Two club in order to move north and be closer to his family. "While playing here I have been away from my young family. I feel living apart has become too hard," he said. Clarke, who had a year remaining on his contract at the Matchroom Stadium, said the decision to leave the club had "not been easy". "I would like to start by saying how proud I have been, being captain of this football club," he added in a statement on the Orient website. "I would also like to thank the manager [Ian Hendon] for understanding my reasons and supporting me. "In my time here I have had unbelievable support from the fans and I hope they could see I gave everything for the team."